While riding down here a couple weeks ago saw rain, snow, and sleet. In a south-of-border twist, the holidays were greeted with brisk nights and 80 degree days. Skateboards instead of snowboards, scooters instead of sleds. 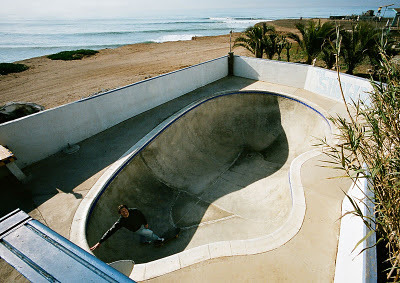 Tony Alva was involved in the design of this pool. 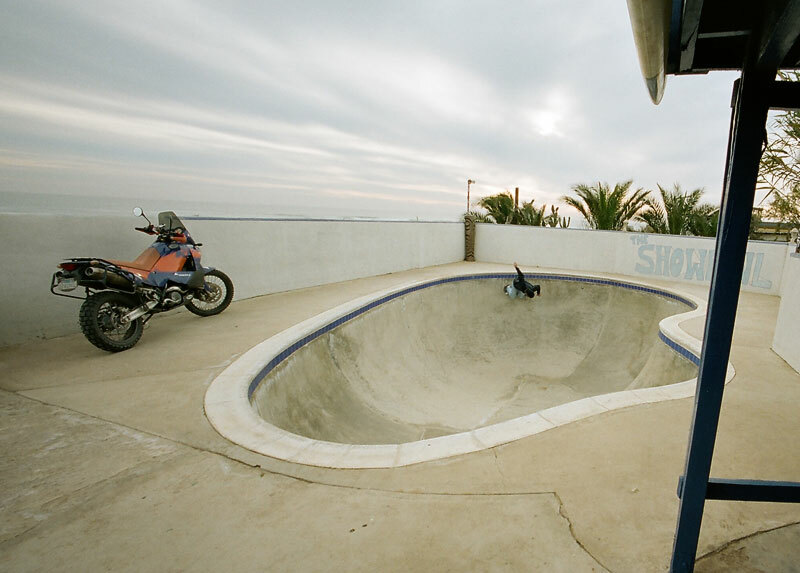 Fun, but was clearly intended for people with Tony Alva's skill level to ride. Few more trips down here are a must to get this thing wired. The KTM 950 is difficult to beat in the terrain down here. It will take you to speeds off road that border on irresponsible. Straight from one sport to another, myriad of options exist here. 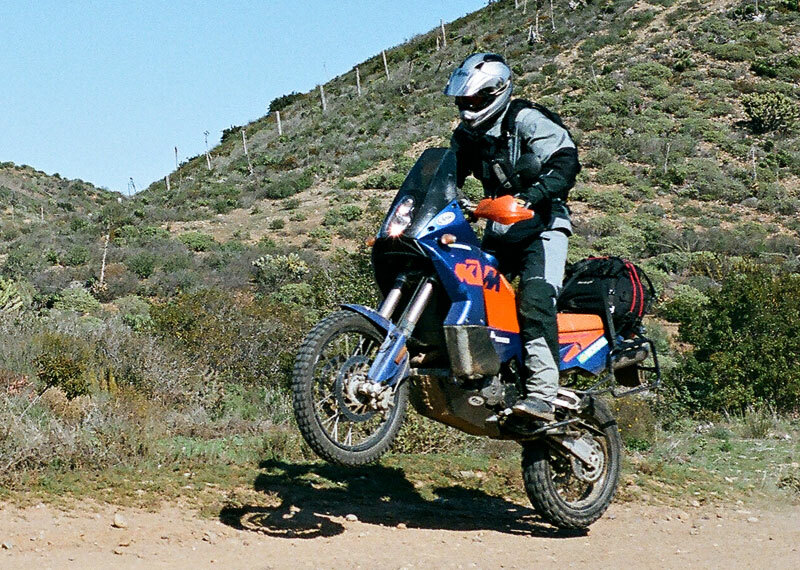 Triumph Film: "The Lost Riders"